Most of the readers of my blogpost, Dealing With Dextroscoliosis, would often ask me where to go to have their scoliosis checked or how to go about having it checked. The first step in dealing with your scoliosis is to see a Rehabilitation Specialist or Physiatrist. In most cases, people with dextroscoliosis tend to consult an orthopedic doctor first. To a certain extent, orthopedic doctors can diagnose scoliosistic condition and give possible treatment but for a more comprehensive physical management of scoliosistic illness or any other physical injuries in that matter, Rehabilitation Medicine Specialist or Physiatrist is your best bet. So what is the difference between an Orthopedic Specialist and Rehabilitation Medicine Specialist? The difference lies in their nature of practice. An Orthopedic Specialist is a medical doctor who specializes in the treatment of the musculoskeletal system which includes the bones, joints, muscles, and any related painful conditions. If, for example, you seek advice and treatment from an orthopedic specialist regarding your scoliosis, he will recommend you to undergo a scoliosistic sequence xray or a spine xray. Based on the results and findings, he will be able to tell you the degree of your curvature as well as the kind of scoliosis that you have. But then, for proper management of your condition, he will refer you to a Rehab Medicine specialist or Physiatrist since it is not like a broken leg or foot that needs casting or surgery. A Rehabilitation Specialist or Physiatrist is a medical doctor who specializes in the non-surgical treatment of the musculoskeletal system. They usually work with a team of physical therapists, occupational therapists, speech pathologists, rehabilitation nurses, and therapeutic recreation specialists in a comprehensive inpatient rehabilitation program. Combined with the use of medications, physical modalities, physical training with therapeutic exercise, movement & activities modification, adaptive equipment and assistive device, orthotics (braces), prosthesis, and experiential training approaches, they work to restore optimal functioning of the affected part of the body. If you are a patient with scoliosistic condition you can go straight to a Rehabilitation Medicine Specialist to save time and cut costs since the Rehab Specialist will handle the long term management of your condition. But in cases where surgery is required, the Rehab Specialist will refer you back to an Orthopedic doctor. Most of the major hospitals here in the Philippines such as University of Santo Tomas, St. Luke’s Medical Center, Asian Hospital, University of Perpetual Help to name a few, as well as health clinics in malls such as Healthway and Tokyo Healthlink, have resident Rehabilitation Medicine Specialists in their Bone Rehabilitation and Physical Therapy Department, who can work well with you in managing your scoliosis. Great tips! I will surely remember this and bookmark for future use. Thanks for sharing! Nice insights on different profession! I agree with you to see a rehabilitation specialist before going under a surgery or something. They’re the one who knows the best what to do with patient’s scoliosis. S great, helpful information you have provided. Many of the newer scoliosis exercise programs that have been developed can do some amazing things with spinal curvatures and improving one’s quality of life. Do your research, talk to others on forums/chat rooms, and as always use common sense. Common conditions that are treated by the rehabilitation therapists include amputation, spinal cord injury sports injury, stroke, musculoskeletal pain syndromes such as low back pain, fibromyalgia and traumatic brain injury. Dextroscoliosis has never really been fun for me, but now I know where I can go to get it checked out and treated. so helpful information you have provided.I agree with you to see a rehabilitation specialist before going under a surgery or something. thanks for sharing. good tips! its gonna help me.. great work! Thanks for this informative post.. Do you have any idea about the cost or fees for those rehab specialist? I hope it is not that expensive.. And will you please recommend one for me? Thank you for mentioning St. Luke’s Hospital in the Philippines. I lived there for a couple years and I am so impressed with the doctors and dentists in Manila. Doctor Who movie to watch most of my favorite films, thank you for this interesting information. Goodnight. Good one , Provided useful information. Coolest one. I appreciate this post and already have pinned this. It will be great if I will help some one with this information. Thank you for sharing this. 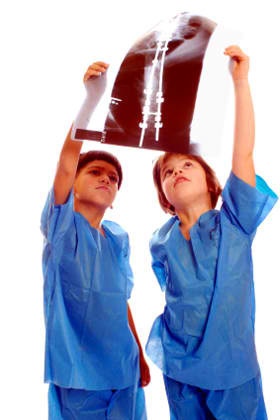 The Shahdara orthopaedic Center provides best orthopaedic surgeons in delhi . Our orthopaedic hospital provides knee replacement surgery , shoulder surgery , hip replacement surgery ,orthopaedic exercises , joint replacement, orthopaedic spine surgery , sports medicine specialists , knee pain by top orthopaedic surgeons. thanks for sharing such a great tips. please visit our links we have a best orthopedic doctors who heal your problems of joint pain by medicine and exercise. I am so glad I read this because I have always wondered what an orthopedic surgeon is! So, with the definition you gave, does that mean that if I broke a bone, I would see an orthopedic surgeon? I have never broken any bones, so I wouldn’t know. Thanks for all of this great information; I didn’t know most of it before! Very good post experts in medicine doctors thanks. This I knew but now need to guide the driver to take care so that he knows how to maintain it and things I am 100% sure even he wasn’t aware about and was just fixing it with his basic knowledge and might not perfectly do it. So, from your explanation, an orthopedic surgeon can take care of broken bones, but for more complex, specific issues, he will refer you to another specialist? My sister has had a bone out of place in her leg for 2 days, now, and I’m not sure if an orthopedic surgeon could help her or not. I guess it’s worth a try; he may know of a specialist that could help her get it back into place. Maybe it will require a rehabilitation medicine specialist, like you described, but I guess we won’t know until we go in. Thanks For sharing this type of post. It’s Great tips, it will very beneficial for me i will surely remember this. The tips are really very helpfull. This tips are gonna help me in my future . I will bookmark this and hope in future it will become helpfull. Great post about these important practices and their differences. The Lakeland Regional Health Bannasch Institute for Advanced Rehabilitation Medicine offer such great services. From evaluations and early intervention to a full range of therapies, Lakeland Regional Health is dedicated to improving day-to-day and long-term quality of life for children. For those who require multiple therapies, we provide a variety of services all conveniently located under one roof, including highly specialized hand, swallowing and balance therapies. And for young adults who would benefit from continued therapy after their teen years, you’ll find an easy transition to our adult program located within the same facility. This site have many Orthopedic Surgery Specialist information. Great informative post. The content is really amazing and beautiful. Your posts are so interesting and providing me great information. so helpful information you have provided, i am a regular visitor of your site. i have made this as a bookmark. Thanks for the shearing this awesome post. Fast Movers and Packers is an Dubai based company which works to ease your worries when moving your house or office. As name suggests this company is present to ensure this thing that you feel relax while moving your office or house from one place to another. Moving house or office is a very tough ask and it demands a lot out of you. Some people even find it impossible because they see moving as a fussy task. And to some extent it is justified but now moving your house is no longer an difficult task because now Fast Movers and Packers are there in the market to help you. Fast Movers and Packers is Quick and Economical. This company also offers insurance of your goods and other stuff and last but not the least this company has got experience. So Fast Movers and Packers should be your first choice when thinking to move your house or office in Dubai. I was getting really bad back pain but then I bought a foam mattress topper. It really helped get the pain off my joints. I highly recommend taking a look at one of those. Woow!!! These post helps alot. Well, if physical therapy helps take away your pain or heals from injury, surgery is not necessary. And even if surgery is really still required, you may benefit from pre-surgery physical therapy. This post is really informative posting.If physical therapy helps take away your pain or heals from injury, surgery is not necessary. This site have many Orthopedic Surgery Specialist information. Thanks for posting such a great tips. Great tips really amazing post, it is a very helpful information. Thanks for sharing. Hi!!! Great tips, thanks for sharing useful information. Nice tips and it is a very helpful to me. Even if surgery is really still required, you post may benefit from pre-surgery physical therapy.This tips are going to help me in my future. Thanks for sharing nice information…. Hi, Good afternoon, Good afternoon, Good luck. helpful information. our elders and athletes really need their services. Great article .i suggest every one to read this post . Al Garhoud Private Hospital, (GPH) located in Dubai, United Arab Emirates, is a place of care, excellence in medical services and exclusive hospitality. Since our inception in 2012, we have been continuously committed to providing the highest quality of patient care in a compassionate and professional atmosphere. GPH was awarded by the JCI Accreditation on February 28, 2013, which is less than 1 year after the opening of the hospital. Smilecare, we don’t just offer dental treatments. We handcraft solutions at our dental lab – we call it the smile studio. Whether you have a pressing dental emergency or just need a tooth cleaning, trust us to get that picture perfect smile. supportive info. our senior citizens and competitors truly require their services. on account that our inception in 2012, we had been constantly dedicated to imparting the highest first-rate of affected person care in a compassionate and expert atmosphere. even though surgical operation is really nevertheless required, you submit can also advantage from pre-surgical procedure bodily therapy. A Rehabilitation Specialist specializes in treatment. Counseling Therapy is just as good and beneficial. However one of my friends’ had attend Psychotherapy and counselling sessions which runs 50 minutes in length a week. I feel happy to reed your knowledgeable post! Great tips… Thanks for Sharing! Nice job, a great post! Lots of important information. We like to gather new sources of information to learn more to informe our clients. And you did a great job in doing it so i have to thank :). Just came across this article. It provides a lot of good information regarding orthopedic and rehabilitation. I will bookmark this page. Thanks for the great information! I feel so amazed after reading your article. I have already bookmarked this page. The message was so straight to the point. Really Amazing Post!! It provides the actual difference between an Orthopedic Specialist and Rehabilitation Medicine Specialist. Which is so helpful informative post for decision about our bone paining. thank so much for sharing such great tips..!! It was a great read! Physical medicine and rehabilitation specialists often diagnose and evaluate patients with back or joint pain, sports injuries, stroke, traumatic brain injury, and amputations. Patients who need comprehensive evaluations and conservative treatment of orthopedic conditions will benefit from an appointment with a good Orthopedic Specialist. I was found a good article. Thanks for sharing very informative article. Very nice and useful information.Thank you for mentioning St. Luke’s Hospital in the Philippines. I got a lot of tips and advice those solve existing issues on … from this article is with step by step process on orthopedic specialist.